Well-designed and well-made light pucks will enhance your decor made easy with our 8 pack LED color-changing pucks. Switch lights on and off, change colors to red, green, blue and white, adjust brightness, or set a timer with the remote control. The remote has 4 timer settings: 10, 30, 60, and 120 minutes. The lights are battery operated so there is no need for wiring, simply load the batteries. 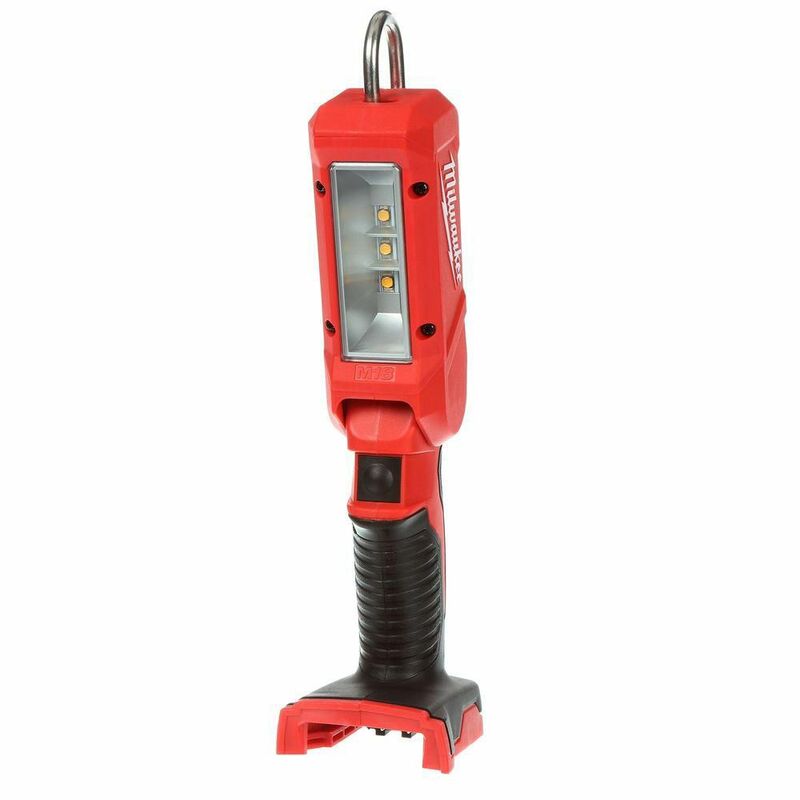 M18 LED Stick Light is rated 4.6 out of 5 by 117. Rated 3 out of 5 by Xcrawler from decent light, could have been better I was expecting a brighter light, considering the price. Milwaukee could make a much better stick light, such as the ryobi offerings, not sure what the issue is. Overall a good light, wish it was a little brighter. Rated 4 out of 5 by AP from Provides a fair amount of light and flexibility with the various head adjustments and two hanging... Provides a fair amount of light and flexibility with the various head adjustments and two hanging points. Rated 3 out of 5 by homeownershandyman from I have a lot of M18 tools and love them... I have a lot of M18 tools and love them all, but this light is...just OK. It is not exciting, it is not very bright, it has a darkish spot in its lighting area, when using under the hood of your car, it is not adjustable and hangs crooked. If I did not already have a lot of M18 tools, I would never buy this light again.